The characterization of physical properties of living cells such as their mass and stiffness has been a major challenge and can have profound implications in cell biology, tissue engineering, cancer, and disease research. In this presentation, I will then present our recent development of an array of micro-electro-mechanical systems (MEMS) resonant mass sensors used to directly measure the mass and growth rate of single adherent cells. Unlike cantilever-based mass sensors, our sensors retain a uniform mass sensitivity over the cell attachment surface. By measuring the frequency shift of the mass sensors with live cells and fixed cells, and through analytical modeling, we derive the Young’s modulus of the unfixed cell and unravel the dependence of the measured, apparent cell mass on the cell stiffness. Our sensitive mass sensors provide an ideal method to study cell growth, cell cycle progression, differentiation, and apoptosis. Furthermore, I will present a few cases where micro- and nanotechnologies play an important role in studying the mechanisms of mechanobiology such as cell responses to different mechanical environment with nanoscale patterns. Such patterns may also be used to control cell cluster formation and cell movement for potential medical applications. 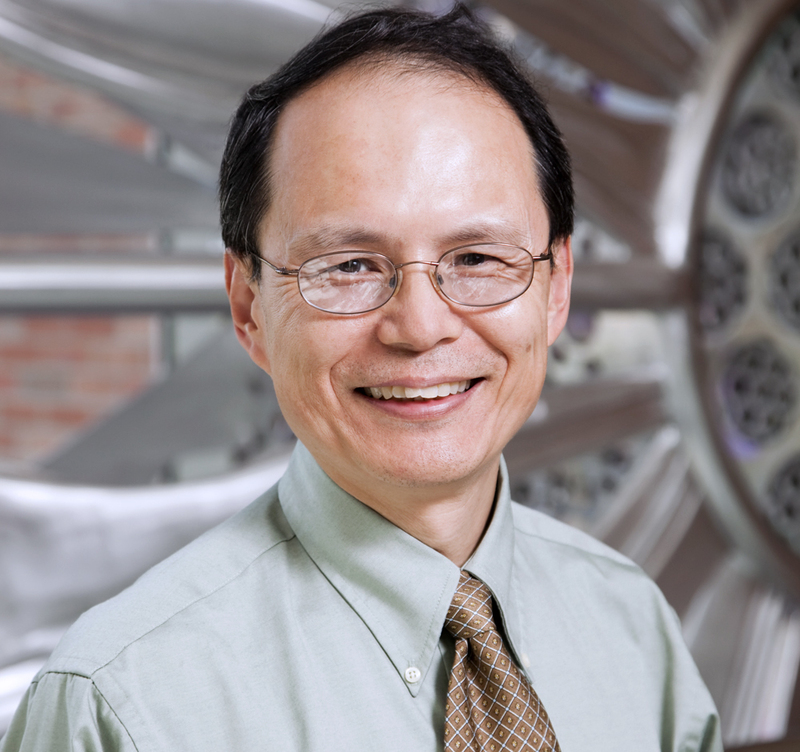 K. Jimmy Hsia is Professor of Mechanical Science and Engineering at the University of Illinois at Urbana-Champaign (UIUC). He received his B.S. in Engineering Mechanics from Tsinghua University, Beijing, China, and his Ph.D. in Mechanical Engineering from MIT. His research interests include deformation and failure mechanisms of materials at ambient and elevated temperatures, mciro/nanomechanics of materials, nanoscale phenomena in biomaterials, and applications of micro-/nanotechnologies in materials, device fabrication, and biological research. He has served on the Editorial Advisory Board, Acta Mechanica Solida Sinica, and as Guest Editor/Co-Editor for several special issues of Materials Science and Engineering. He is a Fellow of American Association for the Advancement of Science (AAAS), a Fellow of American Society of Mechanical Engineers (ASME), and recipient of an NSF Research Initiation Award, a Max-Planck Society Scholarship, a Japan Society for Promotion of Science Fellowship, and an Associate of Center for Advanced Study at UIUC. From 2005-2007, Jimmy Hsia served as Founding Director of Nano and Bio Mechanics Program in the Directorate for Engineering at NSF. He served as Associate Dean of Graduate College at UIUC, Associate Director of an NSF Science and Technology Center on Emergent Behavior of Integrated Cellular Systems (EBICS), a $25M center through a partnership of MIT, UIUC, and GaTech, and Associate Vice Chancellor for Research for New Initiatives at UIUC. He is the current Director of Global Enterprise of MicroMechanics and Molecular Medicine (GEM4), an organization founded by Prof. Subra Suresh, former Director of NSF and the new President of Carnegie Mellon University.